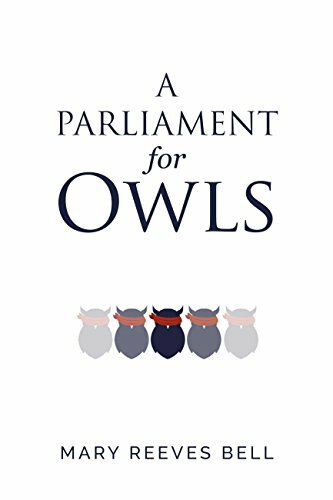 A Parliament for Owls is an insider's critique of the messy space where the spiritual and the political collide. Set in Washington, D.C., when an influential Christian media mogul with presidential aspirations melds faith and politics he succumbs to blackmail in his lust for power and political strength -- a 'desolation of dragons and a parliament for owls'. "Written to enlighten readers about the Holocaust and how the passive submission and even willing cooperation of European citizens permitted the Nazis to wreak their horror, this suspenseful novel, which has believable and likable protagonists, cloaks its lessons of grim historical realities and contemporary threats of anti-Semitism in a gripping adventure that will rivet readers." Imagined dangers become very real as a quest for intrigue leads to a disturbing discovery. . . . Fifteen-year-old Constantine Rea is bored with life in Vienna Austria, since it seems nothing that exciting ever happens there. But then an acquaintance tells Con that the old city has always been a center of international espionage. In fact, one out of ten adults living in Vienna is a spy! Con knows at least ten adults . . . but could one be a spy? Con and his best friend, Hannah, devise a plan to unmask the identity of the spy in their midst, but their plan is put on hold when Con and his mother make a trip to visit their old landlord, Herr Donner. 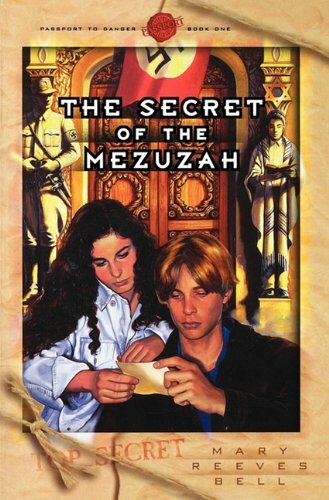 While there, Con receives a curious gold object called a mezuzah, a symbol of Jewish faith. Then Donner has a chance to rethink the gift, and he angrily demands its return-but Con refuses. What is so important about the mezuzah, and why did Donner have it in the first place? 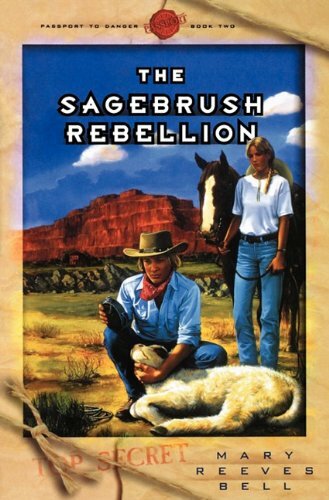 The sabotage runs far deeper than they expected. . . . Leaving behind Vienna, Austria, for the wilds of Wyoming, Constantine Rea is looking forward to spending summer vacation with his grandparents and six girl cousins on the sprawling family ranch. But he arrives to find all is not well. Grandpa Walker has fallen ill, and his recovery is hindered by troubles at the ranch: cut fences, poisoned cattle, trumped-up charges of environmental abuse, and more. Facing financial ruin, the Walkers may lose the ranch, which has been in their family for generations. Could this be Con's last summer in Wyoming? Con and his cousins devise a scheme to find the cause of all the problems, but the long list of suspects includes a radical environmental group called Mother Earth, some local Native Americans, a neighbor who has always been jealous of the Walker's success-and a wealthy movie star who is poised to swoop in and "take the ranch off their hands." Can the cousins expose the truth before it's too late? "Excellent culmination to an exciting series! Con and Hannah are great kids in a real world, and their friendship and adventures make for excellent story-telling. This is my favorite of the three because of the poignant ending. My only disappointment is that Mary Reeves Bell has not written more books. This is top-notch high-quality YA fiction with a Christian worldview, and I wish she would write more!" 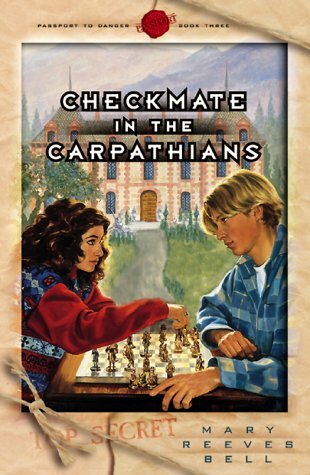 As Con and his best friend Hannah sit across a chessboard from each other, a rickety train takes them fro their Vienna home to a dream ski vacation in the Carpathian Mountains of Romania. There, the sixteen-year olds will be staying in style with Hannah's uncle-the American ambassador! But Con's VIP visions melt away when he opens a letter from his elderly friend Frau Maria Rozstoski describing a violent mystery from her Romanian youth and asking a rare favor. Could Con look into it on his vacation? This seemingly simple request leads Con and Hannah straight into the dark corners of Romania's anti-Jewish past, from a terrifying new-Nazi rally to WWII secrets of the brutal Iron Guard. The closer they get to the truth, the greater their risk. And why does their search keep coming back to an orphan named Poppy?